Your smile is one of your most important assets, and at Long Family Dental, we’re here to make sure that it will last for a lifetime. Using regular checkups, cleanings, and the other services detailed below, we can take care of minor problems quickly and stop many from occurring in the first place. Thanks to our proactive approach, you’ll have an attractive and problem-free set of teeth you’re always eager to show off! To schedule your next appointment, contact us today. Why Choose Long Family Dental for Preventive Dentistry? Routine checkups and cleanings are the backbone of effective dental care, as they allow our team to keep a close eye on your oral health so we can catch and treat any decay or damage before it turns into a major headache. Professional cleanings are also essential as they remove harmful plaque from those areas of your mouth that your brush and floss can’t reach. They also go a long way when it comes to making sure your smile stays nice and white! Dental sealants are a quick and easy way we can protect the most vulnerable areas of the teeth from developing decay. They involve applying a thin, clear layer of composite resin onto the enamel where it turns into a firm barrier that keeps plaque, bacteria, and acids out. We primarily place them on the chewing surfaces of the back teeth, as they are prone to trapping food particles and are tricky to clean (especially for children). “Bruxism” is a term that most people are unfamiliar with, but it’s really just unconscious teeth grinding. For many, it only occurs while they are asleep, making this a very hard habit to break! 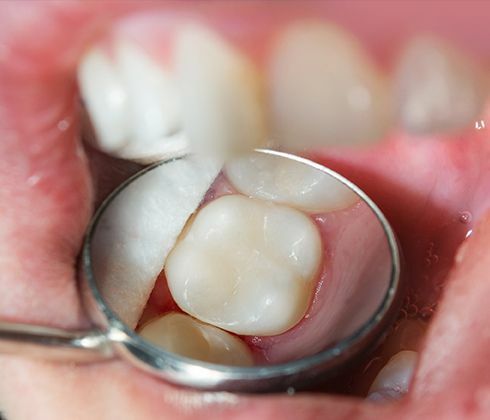 Without treatment, it can severely wear down the teeth and dental restorations alike until they crack and fracture, and no one wants to wake up to that. 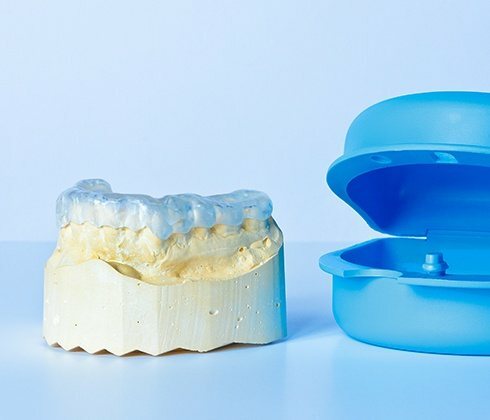 We can help patients by offering something called a nightguard, which is a small oral appliance worn to bed that prevents the rows of teeth from coming together during the night, keeping them safe. Early detection is absolutely essential to surviving oral cancer, but its initial signs can be very easy to miss if you don’t know what to look for. 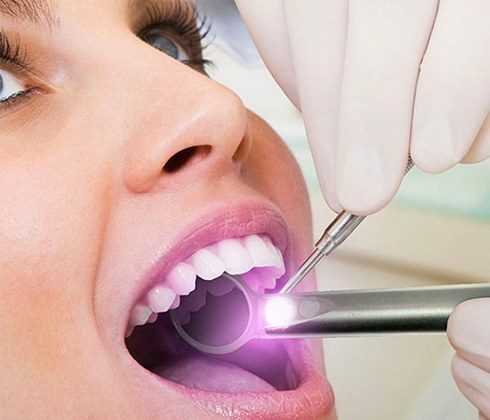 At Long Family Dental, we perform a cancer screening at every single appointment so this disease never has the chance to sneak up on our patients. 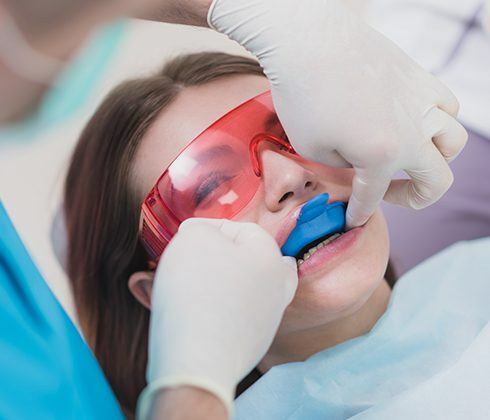 Nothing gets past our trained eyes, and if a patient has a suspicious sore or lump in their mouth, we can help them get the follow-up care they need right away. Stopping cavities before they start is the name of the game when it comes to preventive dentistry, and one of the best tools we have is fluoride. When exposed to the teeth, this mineral actually strengthens the enamel and even repairs areas of minor damage, which is why it’s usually added to toothpaste and mouthwash. To give you even more cavity protection, we can briefly coat your teeth with a fluoride varnish at your regular appointments. This treatment is quick, easy, and will dramatically lower your risk for decay between visits.